Winston Churchill was a towering leader during World War II, who gave hope to wartime Britain in its most difficult years. His event-filled life stretched from the mid-Victorian era to the 1960s. Many of his speeches are still quoted today. And, as Churchill's Shakespeare reveals, he was a lifelong admirer of Shakespeare, whose works shaped his writing and ideas. 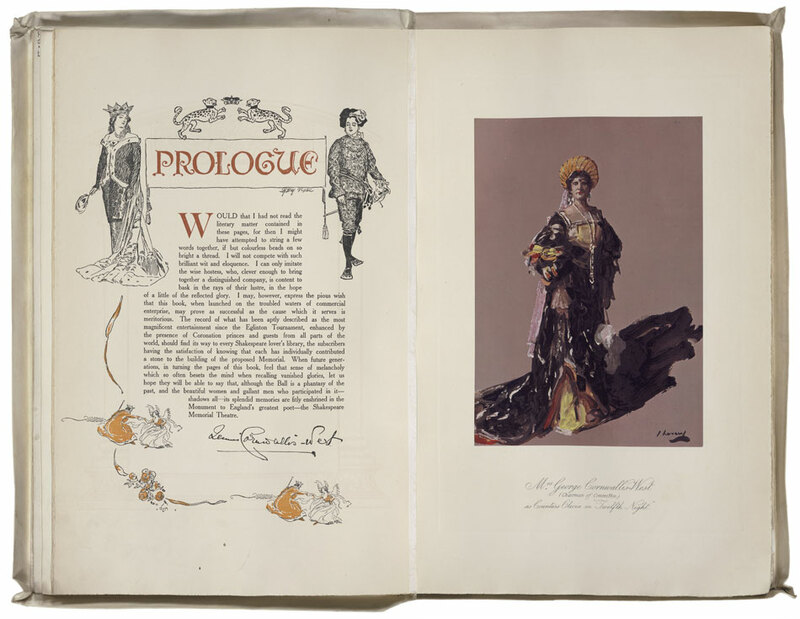 For the first time, this exhibition brings together photographs, posters, theater programs, personal letters, manuscripts, rare books, and more from the Churchill Archives Centre at Cambridge, the Folger Shakespeare Library, Churchill’s home Chartwell, and other collections. Among other items, Churchill's Shakespeare includes his familiar hat, bow tie, and walking stick—and some of his own copies of Shakespeare's plays. Visitors can also hear Churchill's speeches, listen to Shakespearean actors, and watch key video clips. Together, these materials suggest a wealth of Shakespearean connections throughout Churchill's life. As a boy, for example, Churchill sought twice, unsuccessfully, to win his school's Shakespeare Prize. He also had his own toy theater. As an author, his writings used theatrical metaphors to describe war and often employed lines or echoes from Shakespeare's plays. During World War I, as the First Lord of the Admiralty, Churchill wrote a note to the Admiral of the Fleet quoting Hamlet on "the native hue of resolution" and the need to take risks. Churchill and his family also engaged with the theater world and Shakespeare on many occasions. Above all, however, Churchill's Shakespeare explores the years of World War II, in which Churchill served as Britain's indomitable prime minister, rallying the nation and its allies to "never surrender." Some materials show the passages from Shakespeare's plays that influenced his most famous speeches. They also include the original manuscripts from which Churchill spoke—often prepared in a blank-verse format, like Shakespeare's plays. Others document how Churchill made possible Laurence Olivier's film Henry V (1944), a stirring work meant to raise Allied morale. Through these and many other examples, Churchill's Shakespeare uses Shakespearean associations to shine a new light on an extraordinary figure. 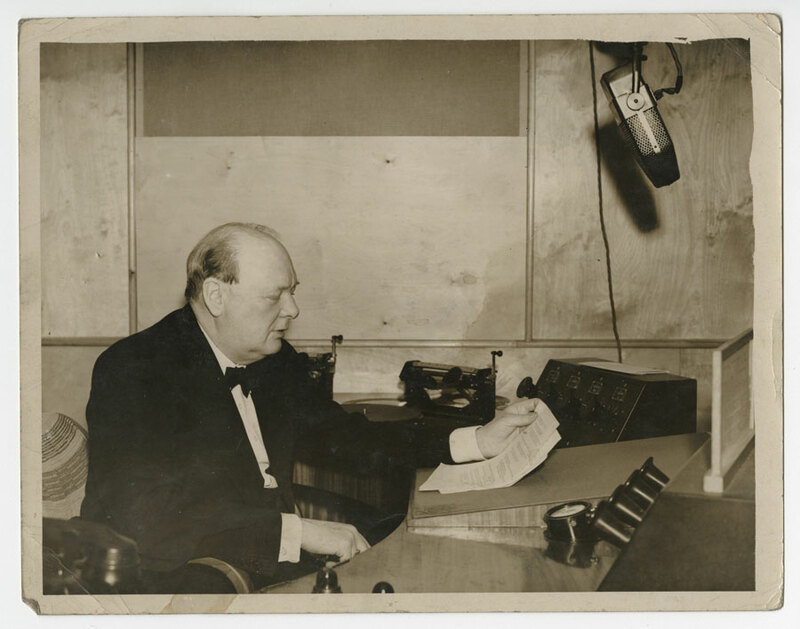 Photograph of Winston Churchill broadcasting a speech, 1939. Courtesy of the Churchill Archives Centre. 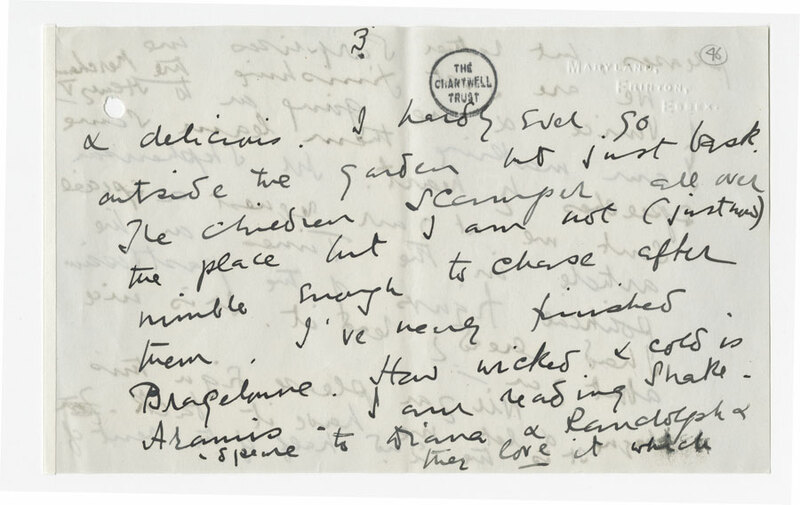 Letter from Clementine Churchill to Winston Churchill, about reading Shakespeare to their children, 8 August 1922. Courtesy of the Churchill Archives Centre. 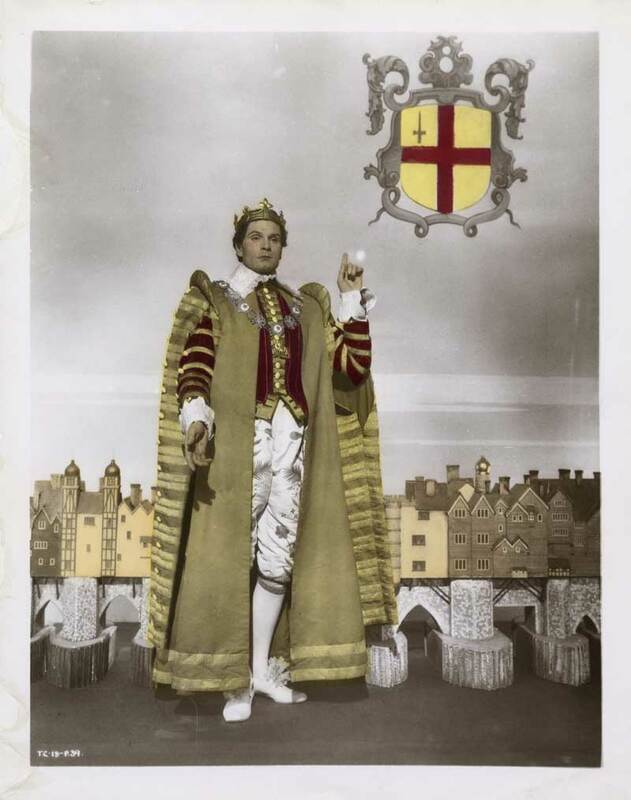 Laurence Olivier publicity photograph for Henry V. Photograph, 1945. Folger Shakespeare Library. Courtesy of Carlton International. Shakespeare Memorial Souvenir of the Shakespeare Ball. London; New York, 1911. Folger Shakespeare Library. As the Folger’s Associate Librarian and Head of Reference Emerita, Georgianna Ziegler was called back to curate Churchill's Shakespeare because of her in-depth knowledge of the library's Shakespeare holdings and her long experience with Folger exhibitions. These include America's Shakespeare, Shakespeare’s the Thing, Shakespeare's Sisters, and Elizabeth I: Then and Now. 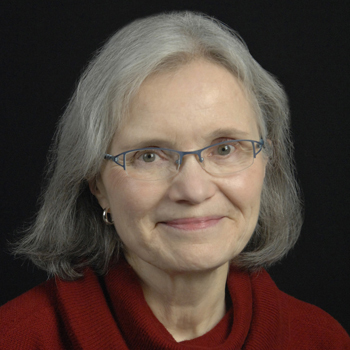 Ziegler is the author of numerous journal and reference articles and has served as President of the Shakespeare Association of America. She has enjoyed exploring Churchill's history and working with the staff of the Churchill Archives in Cambridge. Before coming to the Folger in 1992, Ziegler taught Shakespeare and was curator of the University of Pennsylvania’s Furness Library.